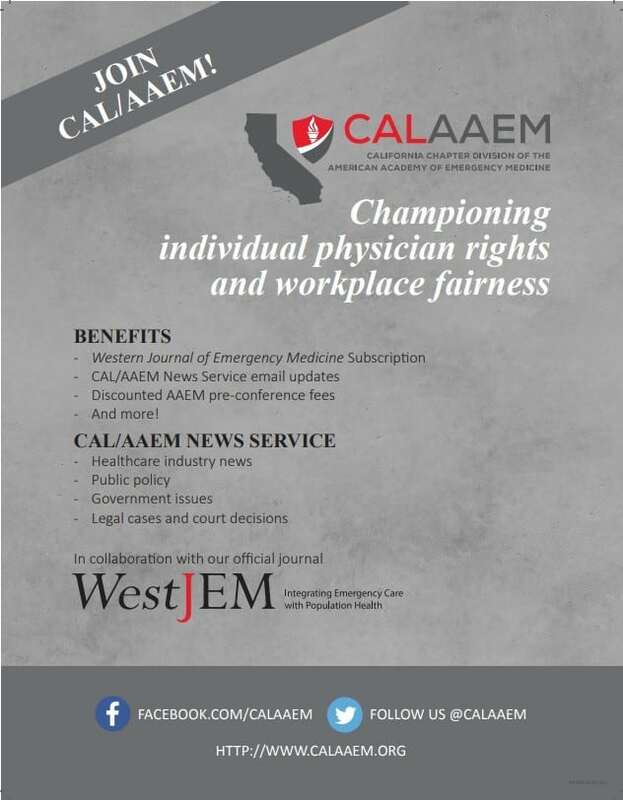 The Western Journal of Emergency Medicine: Integrating Emergency Care with Population Health (WestJEM) originated from the California Journal of Emergency Medicine (CalJEM). CalJEM was founded in July 2000 by Dr. Robert W. Derlet. In January 2001, CAL/AAEM President, Dr. Antoine Kazzi, assumed the role of managing editor and in July 2002, Dr. Robert Rodriguez became the editor-in-chief. CalJEM started as a print journal but over the years expanded in content and scope to become an online journal. The online journal was created and managed by Dr.Warren Wiechmann. With the support from CAL/AAEM and the Emergency Department at the UC Irvine Health School of Medicine, CalJEM distributed to over 2,500 individuals in California. In January 2006, Dr. Shahram Lotfipour from UC Irvine accepted the managing editor position. The additional involvement of Dr. Steve Gabaeff, CAL/AAEM President that year, brought about a unique collaborative effort among California academic departments, divisions and sections of emergency medicine. The joint partnership called the Academic Task Force elevated the academic content of the journal. CalJEM proceeded to initiate an online placement of the journal at eScholarship by the University of California (WestJEM.org), an open-access, full-text repository that provided publishing services and journal management system for an efficient platform for the editorial review process. In February 2007, Dr. Rodriguez passed the torch to Dr. Mark Langdorf. Dr. Langdorf, with the help of Senior Associate Editor Dr. Sean Henderson, transformed CalJEM into WestJEM in August 2007. 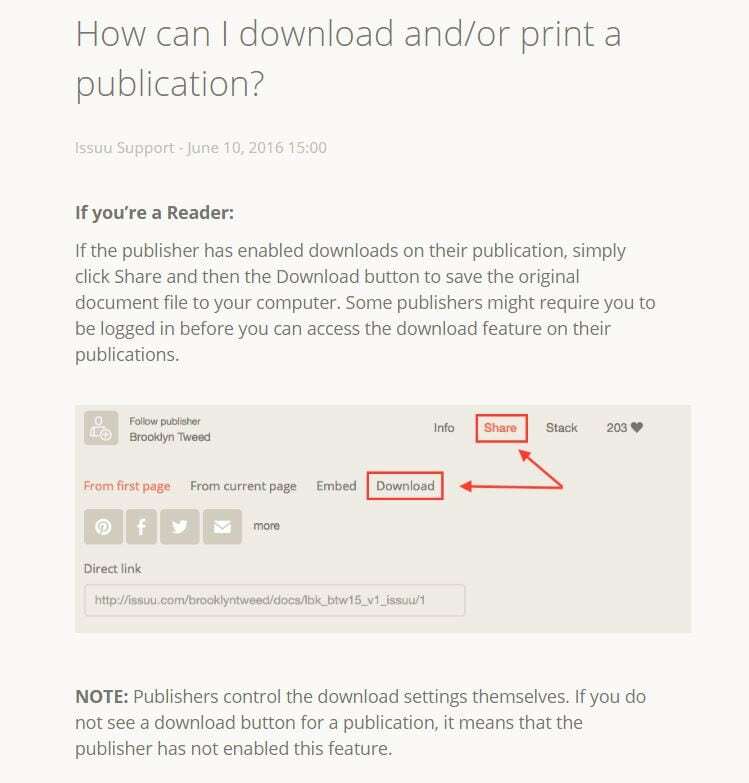 This started the journal’s new journey to become a full-fledged international academic journal. WestJEM aimed to expand its scope and content beyond emergency physicians in California and to become a premier open-access emergency medicine journal in the Western Hemisphere. In a short amount of time, the journal grew exponentially in submissions, quality and number of accepted manuscripts. In July 2009, WestJEM became sponsored by the American College of Emergency Physicians (California ACEP). Beyond its significance for WestJEM’s growth and prestige, the agreement marked a historical moment for two state emergency medicine organizations with differing philosophies, CAL/AAEM and California ACEP, and united them in support of academic emergency medicine. 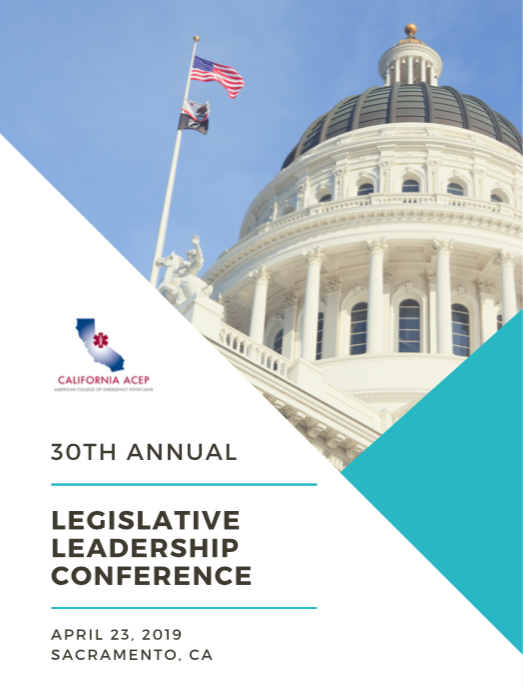 This was also historic because of the premier status of California ACEP among all state chapters of ACEP in the United States. In September 2011, the American College of Osteopathic Physicians (ACOEP) became the first national emergency medicine organization to support WestJEM. Never has there been a journal with both an osteopathic and an allopathic organization as their official sponsors. With a diverse and growing team of editorial board members, expert section editors, and dedicated reviewers, the journal published 130 articles in the 2010-2011 academic year alone. Since inception, the journal has been indexed in PubMed and PubMed Central. 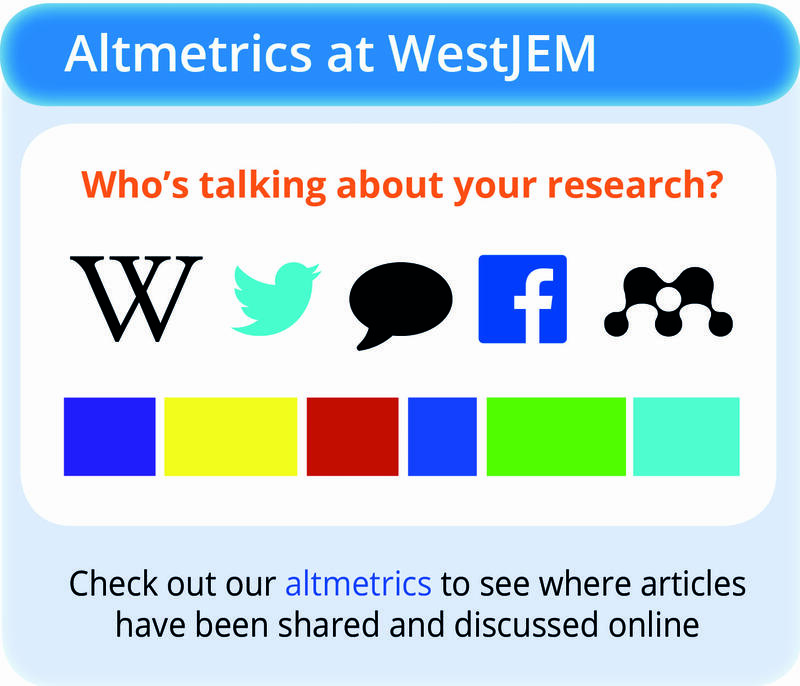 In November 2014, WestJEM was officially indexed in MEDLINE starting from Volume 15 Issue 1. 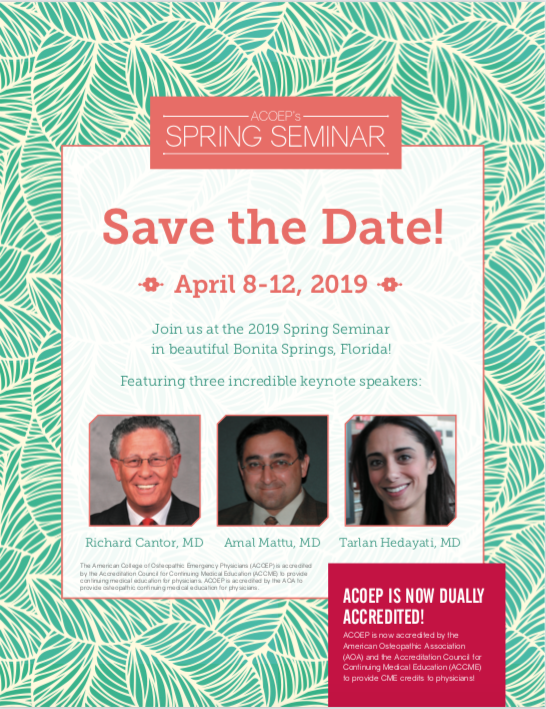 Since 2014, WestJEM has been supported by three main sponsoring societies (California ACEP, ACOEP and CAL/AAEM), 48 Emergency Medicine Academic Department Sponsors, six state chapters of AAEM, and four partnerships of international societies (Argentina, Chile, Thailand and Turkey). The journal would not be possible without generous supporters, in particular our main sponsors and department subscribers. WestJEM is built on the principle of supporting the free exchange of ideas and the belief that scholarly work should be available to all without impediment, and its future direction is dedicated to expanding this effort continually.